With a bow towards the dragons of Anne MacCaffrey, as well as homage to Patrick O'brien's popular revival of the Hornbloweresque naval genre, Ms. Novik has produced a marvelous body of work that is deeply satisfying for history buffs, and delightful for fans of dragondom. Can't wait for the next installment! 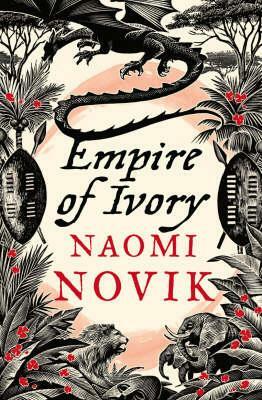 Naomi Novik's fourth outing into the world of Temeraire may very well surpass all three previous novels in humor, dramatic stakes, scale, and the flat-out "whiz bang" of it all. Something is sickening and killing the dragons of the British Corps, and the British must scramble to a)hide this fact from Napolean, and b)find a cure before the entire corps is decimated. Novik once again ties together threads dealing with Temeraire's crusade against injustice, as well as increasing evidence that Temeraire is not the lone dragon with intellectual capabilities. She also tackles the English slave trade and concurrent abolitionist movement. Weighty stuff, indeed. Coupled with the toughest cliff-hanger yet (perhaps of any book I've ever read), this book is both a giddy joy-ride and a suckerpunch rolled into one. I'm actually MORE hooked than I was, so I can only count this book as a success.